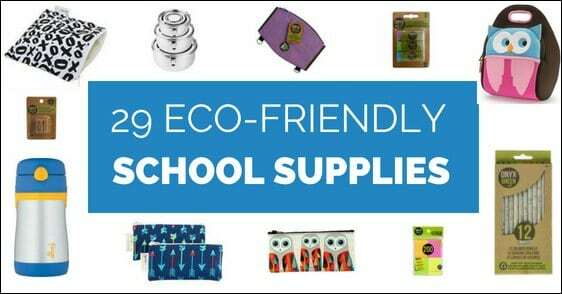 Eco-friendly school supplies are not only better for the environment but also come in fun and unique designs. It’s that time of year – the summer is winding down and kids are getting ready to head back to school. 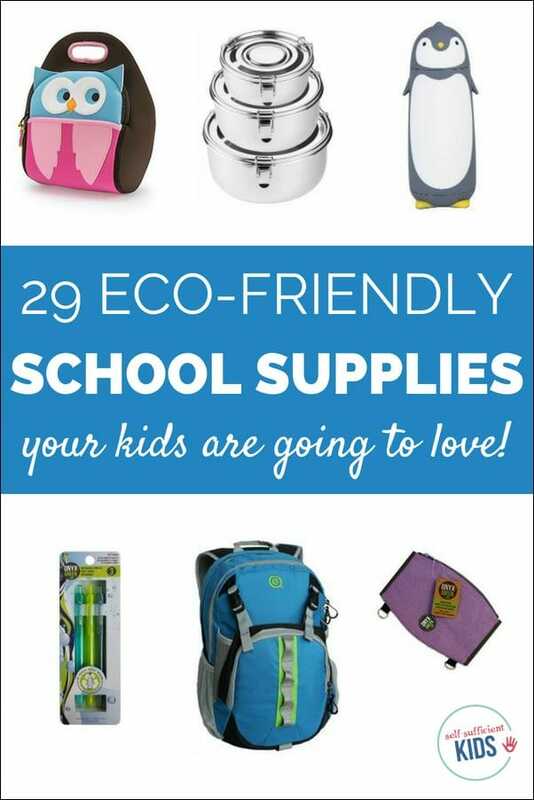 But before you head out the door with your back-to-school shopping list in hand, consider a few options that are eco-friendly. The products listed below make use of recycled materials, avoid the use of plastic whenever possible, and use as many degradable materials as possible. Not only are these products earth-friendly, but many are also have fun and unique designs kids will love. Petit Collage Eco-Friendly Backpack, Woodland: Wipe-able 100% cotton canvas exterior is coated with a protective, solvent-free biodegradable laminate made from natural polymers. EcoGear Dhole Backpack: Constructed with Repreve fabric made from recycled water bottles. Onyx and Green Backpack: Made from recycled newspaper and ramie leaf materials. Ecogear Flash Backpack: Constructed with Repreve fabric made from recycled water bottles. Onyx and Green Colored Pencils: Made from recycled newspaper and recycled packaging. Ticonderoga EnviroStik Pencils: 35% post-consumer material, wood pencil with degradable latex-free eraser. Bic Pencil XtraLife Mechanical Pencils: Made with 65% recycled plastic. Onyx and Green Mechanical Pencils: The body of the pencil is made of recycled PET. Onyx and Green Retractable Ballpoint Pens: Made of recycled milk cartons. Comes in a recycled free pack. Onyx and Green Erasers: Made of recycled rubber. Onyx & Blue Binder Pouch: Made from 100% jute. Onyx and Green 2-Zip Pencil Case: Made from 100% jute. Blue Q Hoo’s Next Pencil Case: Made from 95% post-consumer recycled material. Aurora GB Elements Binder: 70% post-consumer-waste. Pacon Ecology Recycled Filler Paper: Contains 100% recycled content with 40% post-consumer fiber. Environotes Recycled Spiral Notebook: Contains 30% post-consumer waste. Onyx and Green Self-Adhesive Notes: Recycled paper. Colony Co. Lunch Bag: Made of waxed canvas. Free of any synthetic or plastic-based materials and biodegradable. Dabbawalla Hoot Owl Kids’ Insulated and Washable Lunch Bag: Sustainable material is degradable, recyclable, and 100% toxic-free. Vaschy Neoprene Insulated Lunch Tote: Reusable insulated lunch bag that’s easy to clean. EcoRight Reusable Cotton Canvas Insulated Cooler: Made of cotton canvas. 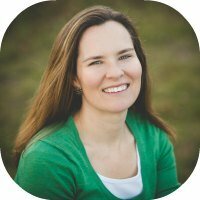 1% of all profits are donated to causes supporting education and the environment. MIRA Set of 3 Stainless Steel Food Storage Containers: Made of stainless steel. The Fresh Locker Stainless Steel Food Storage Containers: Made entirely of stainless steel. Itzy Ritzy Reusable Sandwich Bag: Reusable bag for sandwiches. Itzy Ritzy Mini Reusable Snack Bag: Reusable bags for snacks. Hydro Flask Vacuum Insulated Stainless Steel Water Bottle: Made of stainless steel. Klean Kanteen Stainless Steel 18 oz. With Sports Cap Bottle: Made of stainless steel. Lifefactory 9-Ounce Glass Water Bottle: Made of glass. Penguin Glass Water Bottle: Glass interior with a silicone exterior. FOOGO Vacuum Insulated Stainless Steel 10-Ounce Straw Bottle: Made of stainless steel.